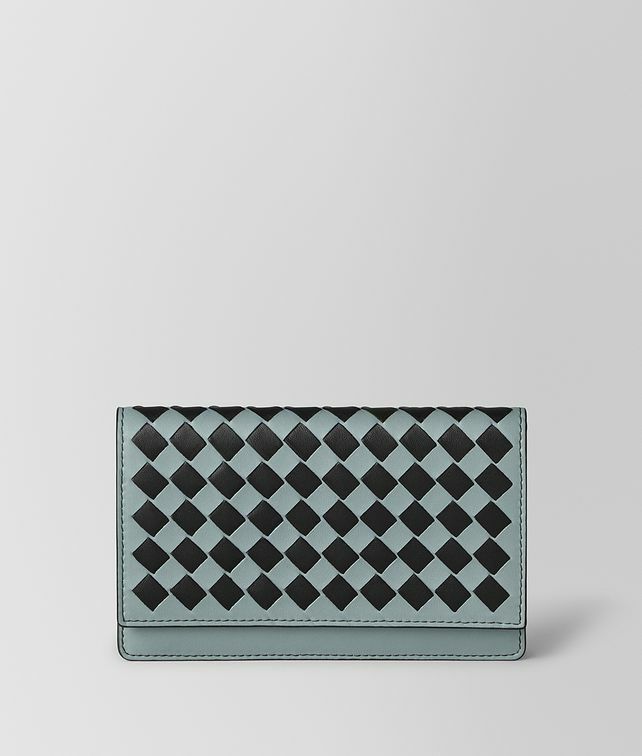 Hand-crafted from soft nappa leather, this large card case features the graphic Intrecciato Chequer workmanship on the flap. It can be attached via the leather loop on the back to the strap of the Intrecciato Chequer BV Luna cross-body bag or the new Intrecciato Chequer belt for a distinctive look. Finished with a snap-button fastening and four card slots.